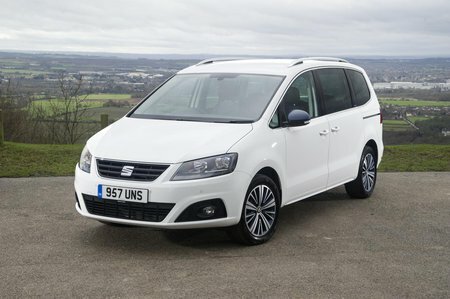 Seat Alhambra 2.0 TDI CR Style Advanced  5dr DSG 2019 Review | What Car? What Car? will save you at least £2,971, but our approved dealers could save you even more. Our pick of the range. Being cheaper and more economical than the higher-powered 184, this 150 version has a lot going for it. In truth, while there’s a noticeable difference in performance between the two diesels, this 150 provides easily enough torque to haul a fully laden Alhambra up the steepest hills.